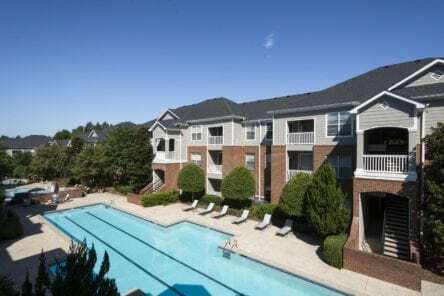 ATLANTA – Admiral Capital Group (“Admiral”) and McCann Realty Partners (“McCann”) today announced the acquisition of Retreat at Riverside (formerly known as Altera Riverside), a 412-home community in Lawrenceville, Georgia within the Atlanta MSA. The property will be managed by Atlantabased Pegasus Residential. Admiral Capital Group was founded by David Robinson, philanthropist and NBA Hall of Famer, and Daniel Bassichis, formerly of Goldman Sachs, to invest in real estate and private equity opportunities. Admiral, in partnership with USAA Real Estate acquires value-add multifamily, office, retail and hospitality properties valued between $20 million and $70 million in major U.S markets nationwide. The Admiral founders have pledged 10% of their profits to philanthropic causes in areas where Admiral invests, building on Robinson’s lifetime commitment to support education and lower income communities. For more information, visit www.admiralcg.com.